Update June 27 by Daven Mathies: With summer officially here, Ricoh has announced new, lower pricing on the Theta SC. The budget 360 camera is now just $200, $100 less than when it was first introduced. This should further the Theta SC’s appeal to consumers interested in giving immersive video a shot, but who don’t want to risk investing too much money. The higher-end Theta S is still available at $350, although some online retailers are offering it as low as $330. Ricoh is dropping the price — and a few features — from its popular 360 camera. 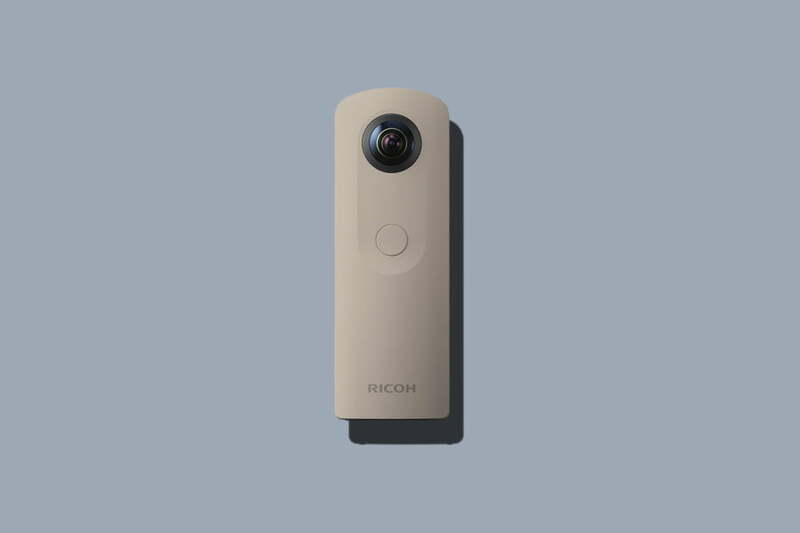 On Wednesday, the firm unveiled the Ricoh Theta SC, a simplified version of the Theta S with a lower $200 price tag. Designed as a budget camera to make 360 more broadly available, the Theta SC drops the live-streaming capabilities and cuts video footage to a maximum of five minutes, but keeps a majority of the imaging tech intact. The Theta SC uses the same 12 megapixel pair of 1/2.3-inch sensors as its $350 sibling. The double f/2 lenses also remain in the streamlined model. The camera eliminates the Micro HDMI port, which means the SC doesn’t have the live-streaming capabilities of the S. The camera does however keep its Wi-Fi capabilities, and Ricoh updated its Theta S apps to celebrate the latest hardware addition. The camera keeps the same form-factor as well — looking more like a giant thumb drive then a camera, though the front and back lenses and tripod socket on the bottom give it away. The Theta SC uses a simple interface with a single button on the front to stop and start recordings, along with controls on the side for Wi-Fi, the shooting mode, and powering the camera off. The Theta SC also keeps the same 8 GB storage capacity. While the built-in storage will store up to 1600 still photos, video will eat up the storage pretty quickly with six five-minute clips maxing out the camera’s capacity. That video recording time is also a cut from the original Theta S, which could hold more, and shoot up to 25 minutes of continuous footage. As a camera designed to bring 360 to the masses, the Theta SC goes beyond the traditional black exterior with white, beige, blue, and pink. While the Theta S still takes the top honors for 360 cameras from Ricoh, the streamlined, less expensive model is nice to see as additional 360 competitors enter the market.